While the trucking industry transports goods throughout Texas and employs thousands of drivers, large cargo trucks can cause catastrophic injuries and devastating accidents due to the size and weight of their vehicles. Momentum, poor maneuverability, long braking distances and crushing force are all significant factors in most serious truck accidents. In the case of such an accident, multiple factors can determine legally who is at fault. To reduce the risk of accident, regulations are set in place by the Federal Motor Carrier Safety Administration (FMCSA) for truck drivers and how they operate on the road. The FMCSA limits the maximum workweek for truck drivers to 70 hours and requires that they take a 30-minute break during the first eight hours of a shift. The administration also allows truck drivers who reach the maximum 70 hours of driving within a week to resume if they rest for 34 consecutive hours. Every truck driver must keep a log of when he or she is on or off the clock and when he or she is resting. “The problem with this is that the logs are manually kept and therefore easily manipulated. Some trucking companies are starting to use monitors and electronic records, but the industry has a long way to go,” Brad says. The FMCSA mandates drug testing for drivers seeking new employment. Companies can also perform random drug testing on their drivers. Urine drug testing is the current standard for evaluating whether truck drivers have been using drugs. 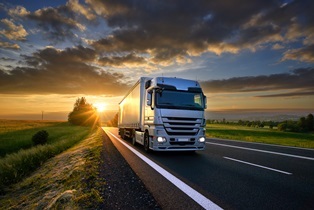 The truck driver may be held liable if he or she was operating the vehicle in a reckless or negligent way. Failure to yield, speeding, distracted driving or operating the vehicle under influence of alcohol or drugs could put the driver at fault for your accident and subsequent injuries. Another common mistake is when drivers fail to follow the hours of regulation and are extremely tired. Poorly maintained streets, roadways and highways can cause serious problems for truck drivers. If an area did not have proper signage, maintenance or warnings of clearance, then the city or county may be held liable. If product failure was the cause of the accident, the product’s manufacturer or distributor may be held liable. In the event of a brake failure, steering failure or the failure of any other mechanical part, you may be able to hold the part supplier responsible. In the event that the truck was being leased, the leasing company may hold specific responsibilities for the care and maintenance of the vehicle. Check out Brad’s book, Commercial Vehicle Collisions in Texas: Things You Should Know & Questions You Should Ask After Involved in a Trucking Accident, for more information.